This is a sponsored post by Acorn Influencer Network, but all opinions are my own. Looking for a dinner recipe that is filling, quick to make and delicious? 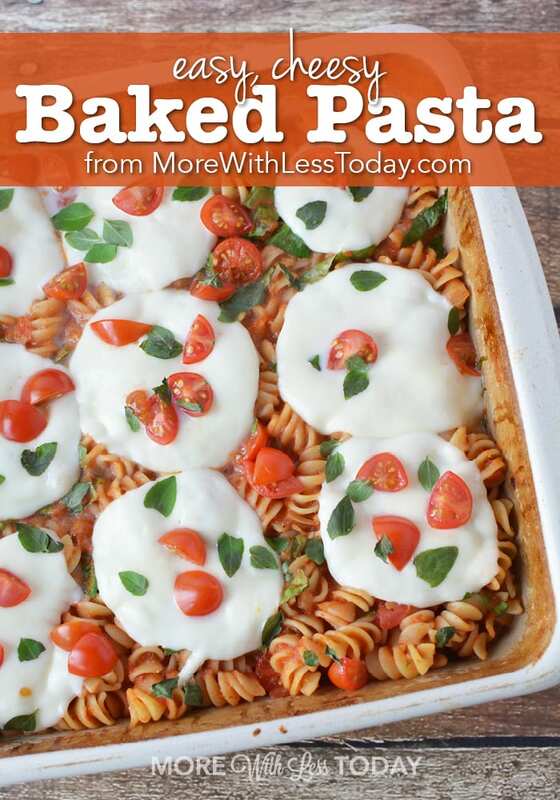 Try this Easy, Cheesy Baked Pasta Recipe. Pasta night is very popular at our house. I have been serving pasta dishes at least once a week for as long as I can remember. 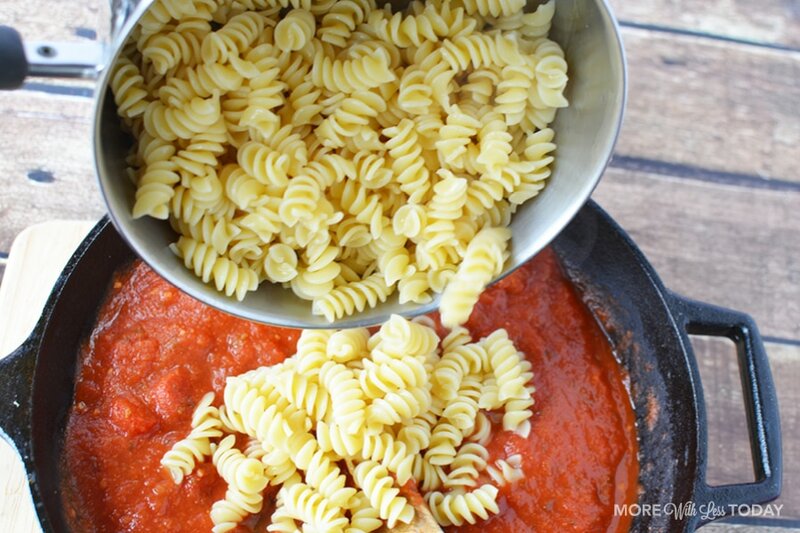 Everyone loves pasta. There are endless ways to get good food on the table fast and it makes great leftovers, so make extra! Looking around the dinner table and watching everyone devour this Easy, Cheesy Baked Pasta dish made me happy. All of a sudden, it got real quiet at the table. 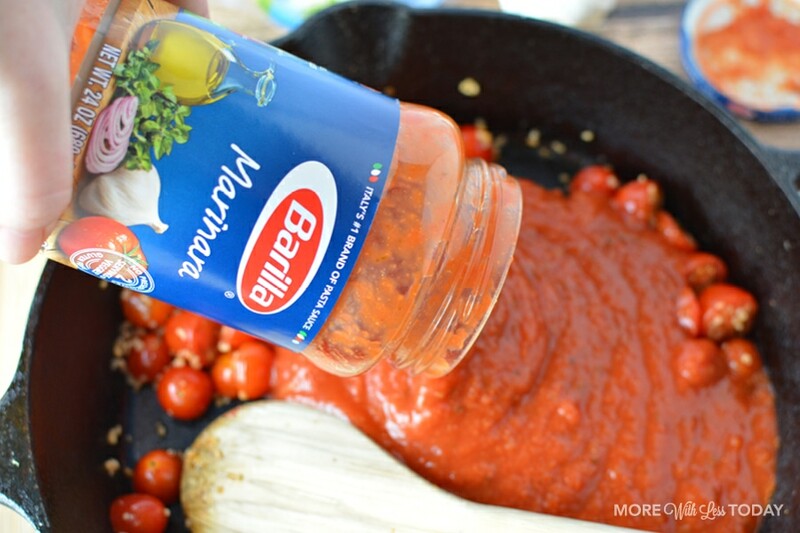 This dish would also be delicious with Barilla Ziti, Rigatoni, or Mostaccioli instead of the Rotini pasta that I used. For a twist, you could add mushrooms, black olives or green peppers. Just a few simple ingredients are needed. You can find them all at Walmart. If you are short on time (who ISN”T this time of year? ), use the Walmart Grocery pick up service. You can thank me later! Order your groceries online or on their APP and choose a pickup day and time. Drive to the designated pick up are and they will load the groceries right in your car. I wish this was available when my kids were little! I used it recently when I was recovering from the flu and it was wonderful. 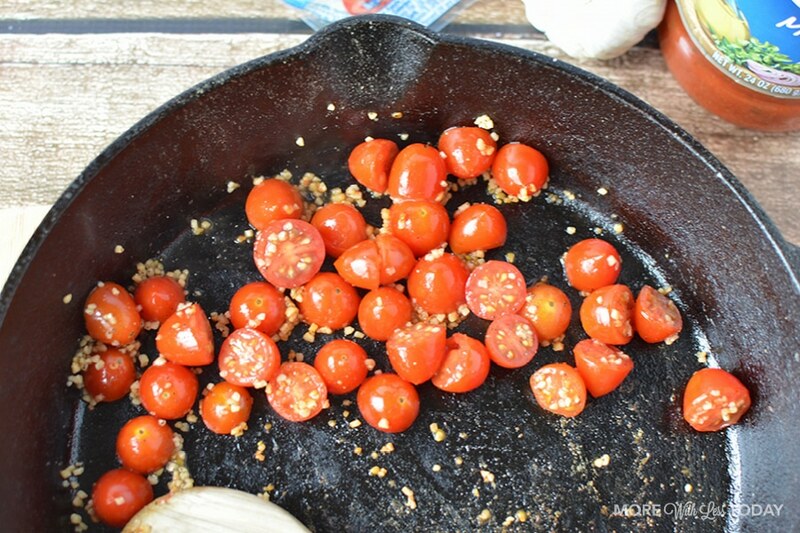 In a large skillet, add garlic and 1/2 cup halved tomatoes and heat for 2-3 minutes or until tomatoes begin to soften and garlic is tender. Stir in spinach and mix well. Heat for 3-5 minutes or until spinach begins to go limp. Slice remaining 10 tomatoes into quarters. Slice the Galbani Mozzarella Fresca Cheese into 9 rounds. You will notice that is has a softer texture for easier slicing. Did you know it is the #1 cheese brand in Italy? My Italian grandmother used to serve it and cook with it so I have never deviated. 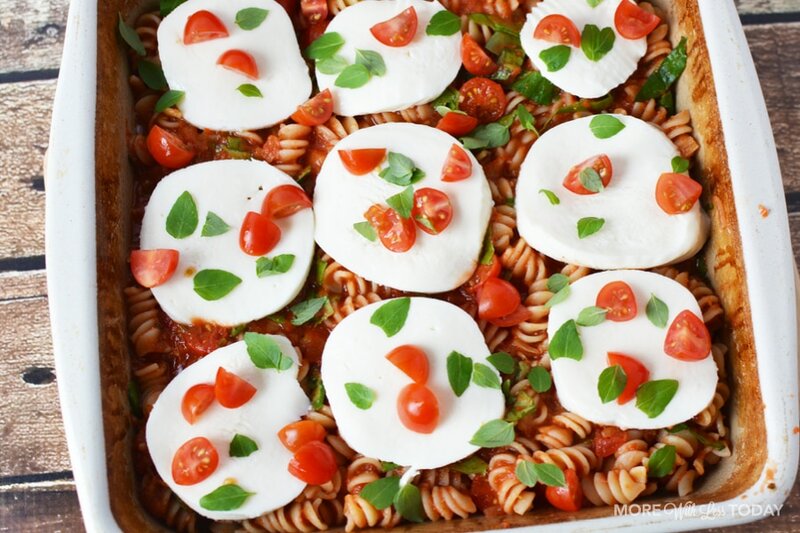 Place pasta into a square baking dish and top with cheese. Sprinkle with quartered tomatoes and fresh basil. 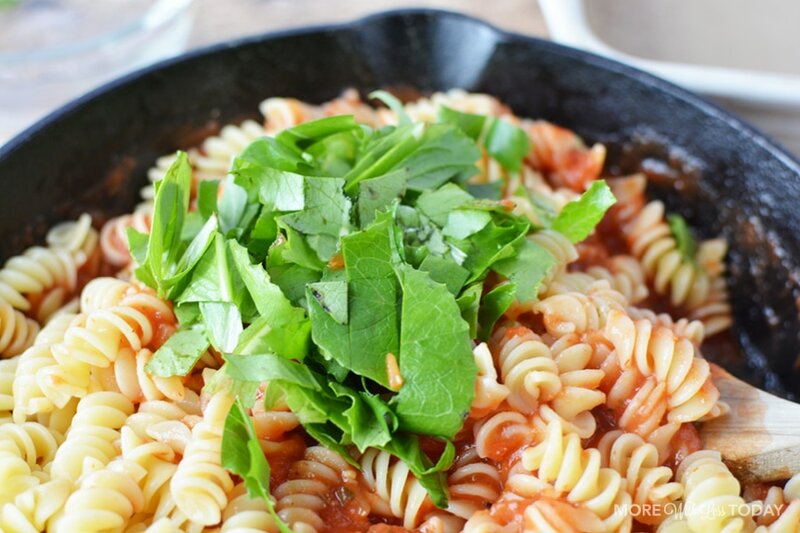 The green from the basil and the red from the tomatoes makes this pasta dish so festive! Bake for 10-15 minutes or until bubbly and cheese is melting. 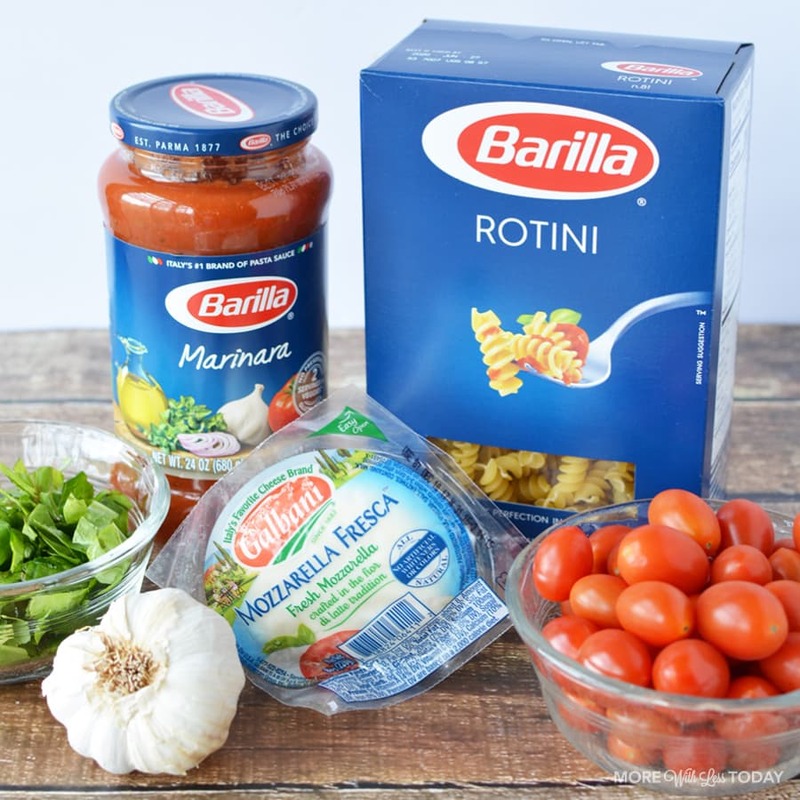 My favorite pasta brand is Barilla because it is made with few wholesome ingredients which follow the guidelines of the Mediterranean diet and a healthy lifestyle. For more recipe inspiration, visit Holiday Pairing and follow along on social media using #holidaypairing. 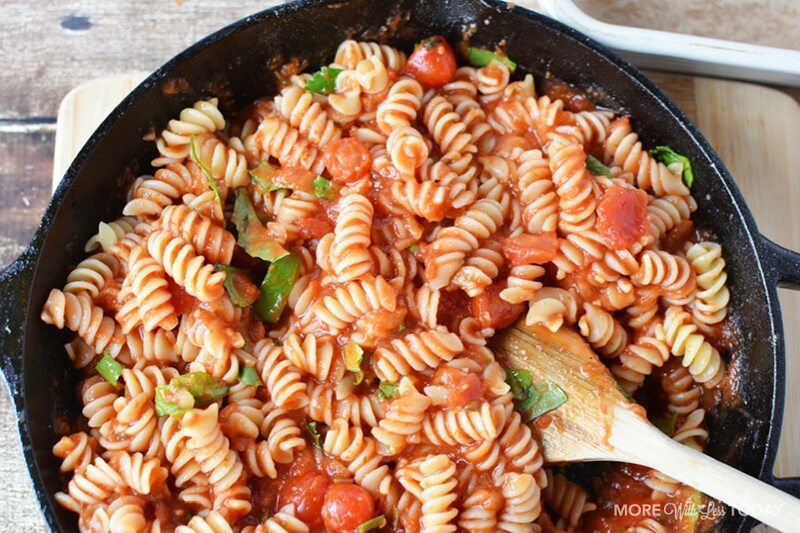 In a large skillet, add garlic and ½ cup halved tomatoes and heat for 2-3 minutes or until tomatoes begin to soften and garlic is tender. Add pasta sauce, pasta and spinach and mix well. Heat for 3-5 minutes or until spinach begins to go limp. 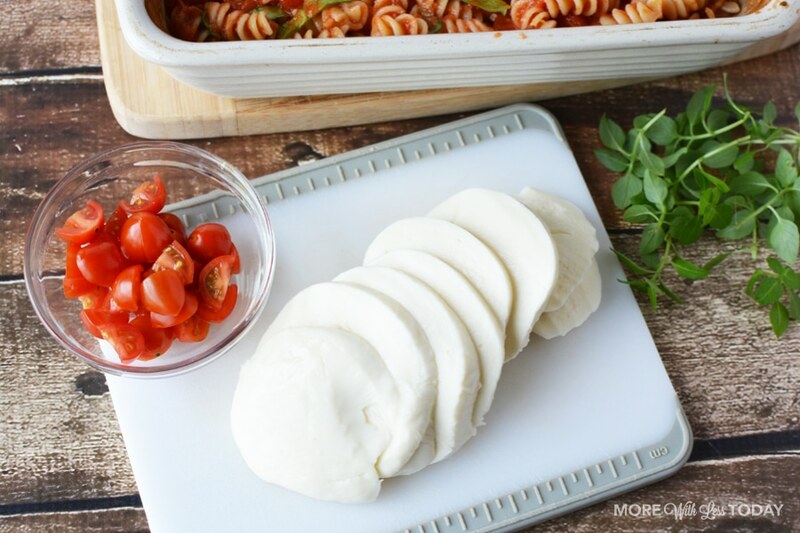 Slice Mozzarella cheese into 9 rounds. 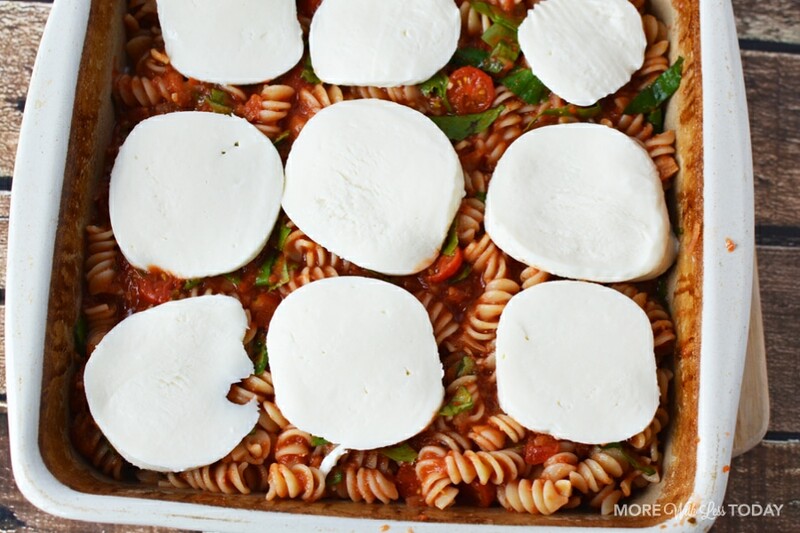 Place pasta into a square baking dish and top with cheese. Sprinkle with quartered tomatoes and fresh basil. 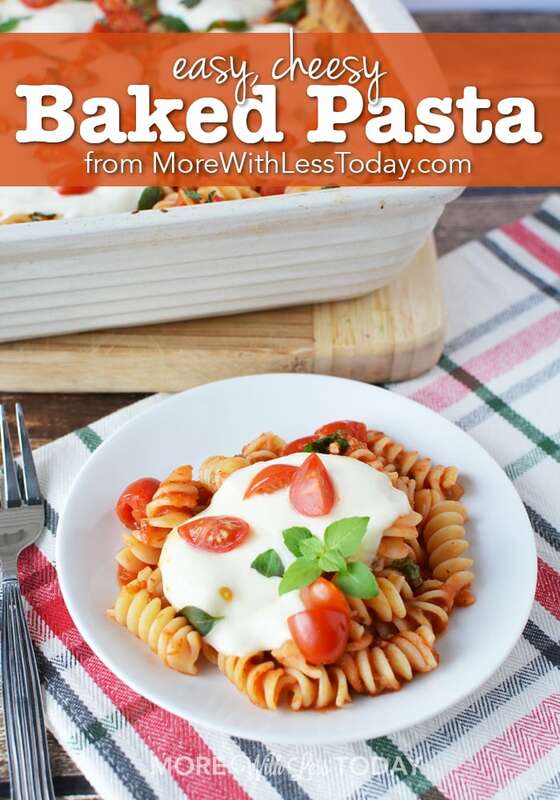 I love how easy this baked pasta is! I love any types of pasta. This is definitely would love to try! I looooove pasta just about any way it’s made. This looks absolutely delicious! Great dish idea! I’m really liking this recipe. I’ll have to try it out at my next potluck. Well I think I found dinner for tonight! This recipe looks really delicious. From the first picture I’ve wanted to sink my teeth into this pasta dish! I am also a sucker for good cheese so I’m going to look this kind up!! My family would so love this! They really do love pasta and I really do love things that are easy to make! I can definitely see myself making this and bringing it as my dish to the potluck. Quick and easy works for me. This looks delicious AND easy enough to make 🙂 I will try it out for lunch some day!